Love this recipe and very easy. I used Worcester Pub Burger seasoning and added 1/3 cup of ketchup and 1 T of prepared mustard. Probably could reduce amount of Worcester sauce when using that particular seasoning. Very yummy! Absolutely delicious…..I mixed sour cream into the meat mixture and used ground turkey instead of ground beef. The entire pan was pretty much emptied….a great dish for kids. We served it with an amazing salad on the side. That is a great idea! Thanks for the suggestions. Easy to make. Taste has yet to be determined. Looks and smells wonderful. Did not change recipe at all. Made this tonight. I added mushrooms and rotel tomatoe to the meat. We really enjoyed this and it was so easy to make. Thanks! I served it with a green salad with tomatoes, and it was a perfect lazy Friday night meal. I’m sorry this may be a stupid question but the tots should be frozen not defrosted correct? Please email me the recipes. Do you drain the beef at any time? if so, before or after adding the onions, or both times? Wendy – If there is extra grease, I would drain it after the onions are added in. I like the onions to cook in the grease! If you use lean beef or ground turkey/chicken, you may not need to drain it. Thank you! My husband liked it, me, not as much. I felt the hamburger was dry. Was that because I drained it? Should I not drain it? Also the tots were undercooked. I don’t mind them soft, but they were not warm inside. Suggestions for a remake? Wendy – Maybe try to add a can of mushroom soup to the meat mixture. That would make the casserole more creamy. Also, definitely cook it a bit longer so that the tots are cooked through. Thank you! 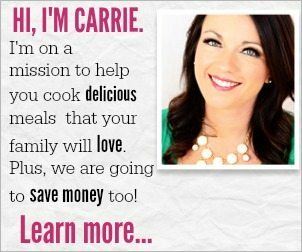 Thank you so much for all your advice and posting this recipe in the first place, Carrie. We had leftovers today, and I thought it was perfect that way. No issues like I noticed before. Will make it again and experiment as you suggested. Will also try your three ingredient Sloppy Joes soon! Need all the help I can get!